IT IS ONLY NATURAL that I would one day wind up in the literary field. I taught the art of writing and understanding literature for years as an English teacher at St. John, Lancaster, and Ennis high schools. 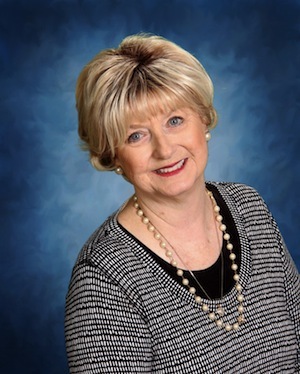 When I retired from administration, I turned my attention to working with my husband to create and build Caleb and Linda Pirtle, a literary Website devoted to connecting readers with today’s growing population of authors throughout the world. I have served as editor for some great books presently in the marketplace, and a year ago I entered the field as an author myself. It was a perfect transition. I have long read and reviewed mysteries, and I found myself infatuated with the kinds of cozy hometown mysteries produced by Agatha Christie and Diane Mott Davidson. I am fascinated with dastardly murder mysteries solved by the lady next door who relies solely on intuition, instinct, and intuition. The amateur detective of any cozy mystery has her flaws and makes more than her share of mistakes, but she tracks down villains simply because she has the dogged determination to keep piecing together the puzzle even when she knows everyone is telling her to quit and go on home. Last year, I published my first novel The Mah Jongg Murders, set in the mythical small East Texas gated community of Leisure Lake. The location was patterned after Hideaway Lake, where I live just north of Tyler. My protagonist Lillian Prestridge loves riddles and receives the puzzle of her life when she discovers the body of an unknown woman lying on the edge of the lake near her home. Three successive murders, including the assassination of one her Mah Jongg friends, baffle the authorities — the county sheriff and the head of security at the lake. But Lillian, along with her Standard White Poodle Eli, follow the subtle clues until she is able to solve the mystery, pinpointing a murder that leaves the entire community in shock and breaking the heart of her son. 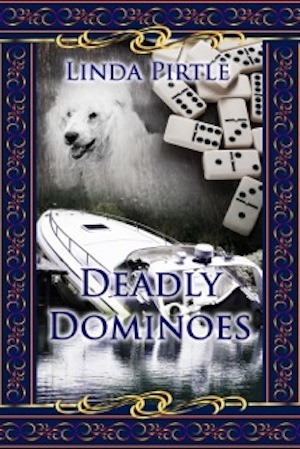 I am presently working on my second novel in a cozy mystery series that focuses on the games people play, It is titled Deadly Dominoes and is set in the mysterious bayous of Caddo Lake, shadowed by Spanish moss dripping from the oaks. It’s a perfect backdrop for murder. Lillian and her husband leave the security of their community, hoping for a peaceful vacation in their new RV. The murder of Lillian’s Mah Jongg partner prompted her to seek refuge in a new environment. The region is rocked by an explosion and by murder. Who is leaving dominoes to curse the bodies of one murder victim after another? Why is an old lover stalking the shoreline, and what does the explosion have to do with the game of dominoes or murder? It’s worth the read to find out. LILLIAN PRESTRIDGE and her husband Bill are introduced to Eli, a standard Poodle, and he leads them to the scene of a heinous murder in their normally quiet, gated community in the heart of East Texas. Lillian lends her investigative instincts to her son Jake, County Sheriff, and his best friend, Grant Perryman, Chief of Security at Leisure Lake, as they try to solve not one murder, but two, in the first of Linda Pirtle’s cozy mysteries: The Mah Jongg Murders. 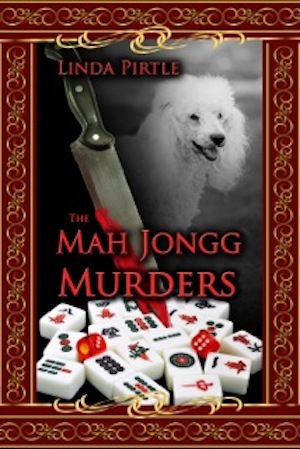 The Mah Jongg Murders by Linda Pirtle is a murder mystery. Lillian Prestridge lives an easy life with her husband, Bill, in their gated community home, but that is all about to change. One morning, she sees a beautiful standard poodle, apparently ownerless and covered in blood. He wants Lillian to follow him and so she does, discovering a body. Lillian decides to get involved in the investigation and offers to help the county sheriff, her son Jake, solve the murder. Joining them is the Chief of Security at Leisure Lake, Grant Perryman, and between them, they work hard to solve the murder. Then another body is found and life becomes more difficult for all of them. Can Lillian catch the murderer or is she about to become a victim? The Mah Jongg Murders by Linda G Pirtle is an intriguing story, written in such a way that I just had to keep on reading it. It is one of those stories that dictates how you read it, with a real need to know what is going to happen next. Every time I decided to put the book down and leave it, something else would happen that meant I couldn’t! This an excellent book, one of the best murder mystery stories I have read for a while. Both the story and characters are believable and the characters incredibly likable. They are all very well developed and the way they are written allows you to get to know them throughout the story. This is a good thing because the story ended with lots of questions that could well be answered in the next book. Great read, definitely looking forward to the next one! IN LINDA PIRTLE’S The Mah Jongg Murders, the death of Lillian’s Mah Jongg partner prompted Lillian’s desire to seek refuge in a new environment. Caddo Lake, with cypress and ancient oaks dripping with Spanish moss, provides the perfect backdrop for murder. Lillian Prestridge and her husband Bill leave the security of their gated community in the heart of East Texas. Lillian looks forward to a peaceful vacation in their brand new RV. Lillian delves into solving the strange events – an explosion and murders. Who is the person or persons leaving dominoes and curses on the bodies of one murder victim after another? And what does the explosion have to do with the game of dominoes or murder?